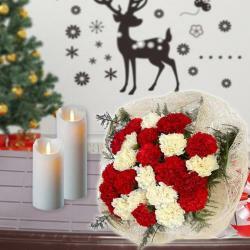 Product Consists : Bouquet of 30 Red and White Carnation and Roses with some filliers along with 4 Long Candles. 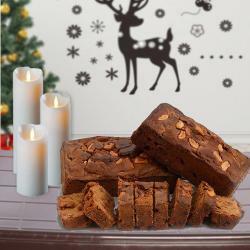 Have a look at this wonderful combo of flowers and candles for Christmas gifting. This gift combo is best to be given to anyone. It contains one flower bouquet made from fifteen white roses and ten red carnations. The bouquet looks very beautiful with red and white flowers combination. This combo also contains four candles. Candles are lit on Christmas as a symbol of light of god. 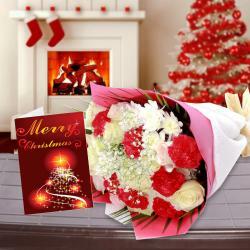 Send this gift combo to your dear ones and elate them from their heart as the flowers will deliver your best wishes for them. You can even buy this product for you as flowers will look quite beautiful kept on your living room and you can also light candles on this Christmas. 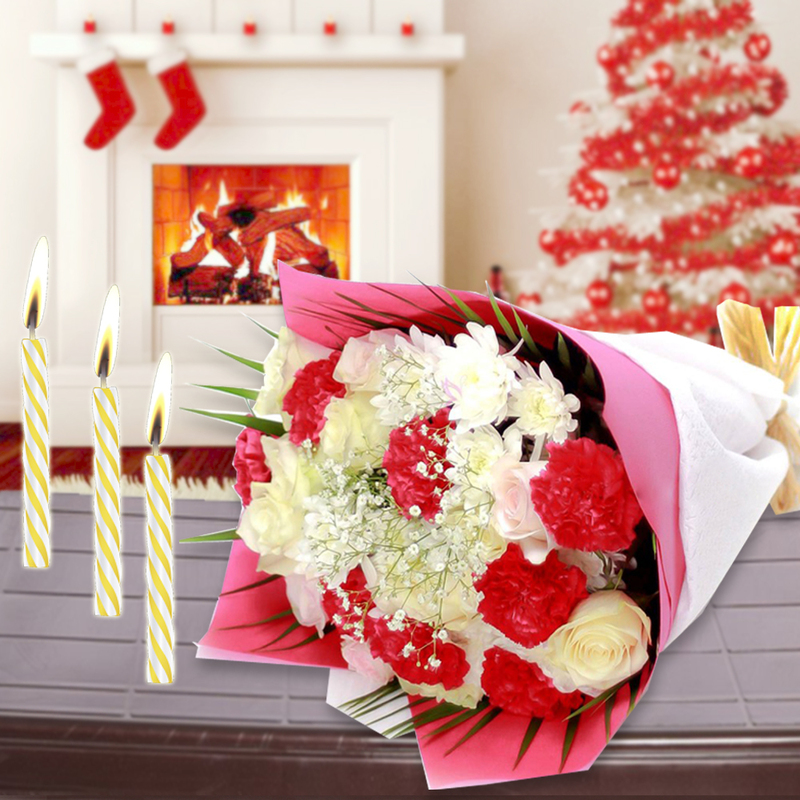 Product Consists : Bouquet of 30 Red and White Carnation and Roses with some filliers along with 4 Long Candles.